Diane von Fursternberg FW2014 Bohemian Wrapsody collection inspiration comes from a painter, a poet, a dancer as she is a free spirit floating towards the intersection of everything. In dancing skirts and the ballerina sweaters from which the wrap was born, she is a full hope for what the night will bring. From the East, she rises with the sun wrapped in golden love knots. 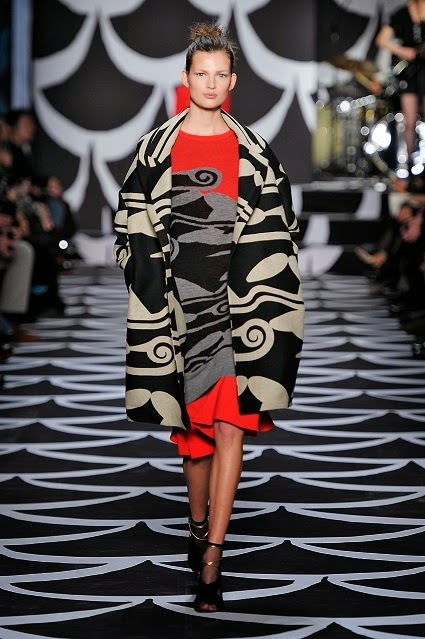 In a cocoon of cloud wave jacquard, she emerges in black and white with a burst of poppy red. She dreams in rich jewel tones like bring iris with swirls of firebird sienna, in flowing crepe and shimmering velvet. She slips a shirt dress over soft pants layering for her journey with a chic nonchalance and a devil-may-care approach to print; bold and wild mixed to perfection, her Runway bag flying behind her as she catches a train. By morning, her eyes will open to the West, to the curtain call of Ballets Russes, a movable feast of fashion and music. Here, a rose print grows under the moonlight, while a corset tames a flowing chiffon blouse. A metallic wedge shines on a black on a black mesh sandal. Chic mini dresses take their places over flowing pants. 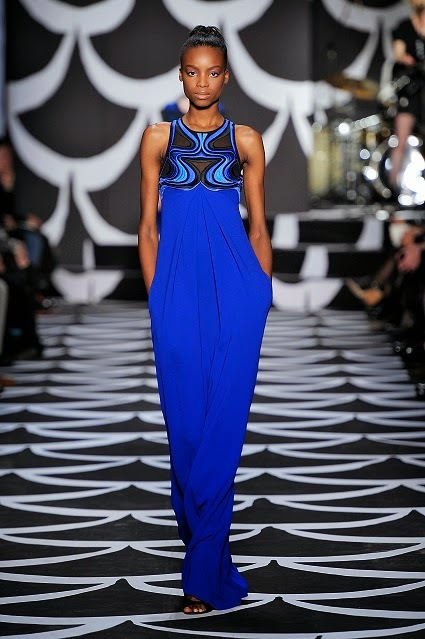 A celestial print pops on cobalt blue. The curtain opens to a bouquet of golden wraps a gilded celebration of the silhouette that started it all. She is a statuesque and free. Cue the Bohemian Wrapsody.